Indian Banking sector is flourishing. due to which there are many job opportunity available for job seekers in banking sector. 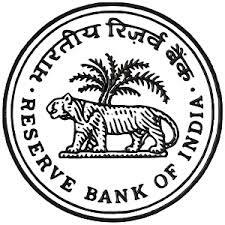 The Reserve Bank of India is planning to open up THE banking sector with new Private players set to be given licences, a lot of jobs will be created over the next few years. Banking sector is one of the rapidly growing sector. ed the Indian market and have set up their service hub in the nation. Global investment banks have also targeted India as investment hub. With the constant growth of service sector there is a need for more financial intermediaries and services. The market of the nation is not fully developed and matured. The economy and the market of the nation is booming at a considerable rate, so there is a huge scope for banks to do business and reap profits by supplying necessary financial services to people and meet the individual financial need.The service sector of the nation is also consistently growing at a growth rate of 7% per annum and it accounts to almost 50% of the nation’s GDP. if we look at Indian private sectors entry in banking, there are leaders like Reliance, TATA, LIC are looking forward to start banking sector in next 2 years. it is also said that State Bank of India (SBI) is having the highest branches in India but as per the updates LIC is trying to diversify their business in banking so if they are going to start banking services under there existing branches, suddenly LIC will have highest branches in India. well, these private sectors looking more revised and updated as compare to existing players in banking sectors, they are bagged by new banking concept and huge financial backups. so what you are expecting ? this is going to have critical impact over existing members ? keep on track with the updates. Its awesome miss pooja you done a really fantastic work and most important thing is that it is too informative and helpful for any research Nd all….!!! !